The new Lumix S1R and S1 are Panasonic’s first cameras to feature a digital single lens mirrorless cameras with a 35mm full-frame image sensor. 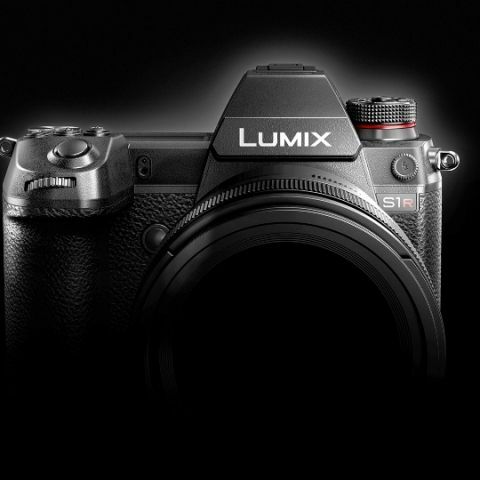 Panasonic has announced its first Full-Frame Mirrorless cameras, the Lumix S1R and the Lumix S1, during the ongoing Photokina 2018 event. They are the company's’ first digital single lens mirrorless cameras with a 35mm full-frame image sensor and are claimed to be the world’s first to support 4K 60p/50p video recording in a full-frame digital single lens mirrorless camera and come with the Dual I.S. image stabilization system. The two cameras feature a newly developed image processing engine with 47MP effective pixels on the S1R and 24MP on the S1. The company has also announced that it will expand LUMIX S series lineup of compatible lenses by developing more than ten by 2020. This lineup is said to include a 50mm/F1.4 fixed-focus lens, 24-105 mm standard zoom lens, and a 70-200 mm telephoto zoom lens. “The cameras have the user-friendliness and robustness essential as tools for photography or videography by professionals. They incorporate an entire array of our technology refined over a century in the consumer electronics business and ten years developing Digital Single Lens Mirrorless cameras. Such innovations include digital technology like image or signal processing, plus optical and heat treatment technology and more. The combination of these will provide our customers with new value for photography and videography,” Panasonic stated in its media release. The two cameras come with two XQD memory cards and SD memory card slots, which is a first for Panasonic. 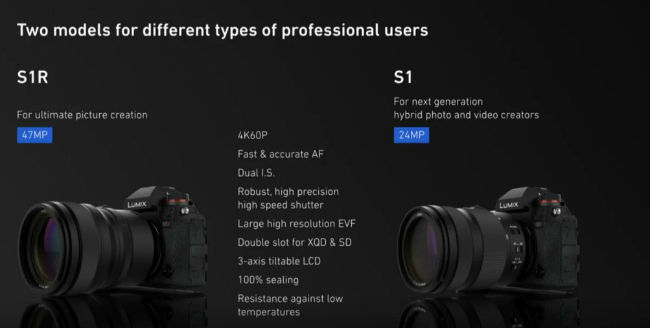 There is also a triaxial tilt LCD display and the cameras with Leica L mount will also come with support for third-party lenses, starting with Sigma. Talking about its LUMIX G series of Micro Four Thirds Digital Single Lens Mirrorless cameras, the company says that it will commence developing a Leica DG VARIO-SUMMILUX 10-25 mm F1.7 lens, which will be able to “achieve the world’s first zoom with a constant aperture value of F1.7.” The Panasonic Lumix S1R and the S1 Full Frame Mirrorless cameras will be released globally by next spring.